If there’s one word that describes Jennifer Chen, it’s busy. 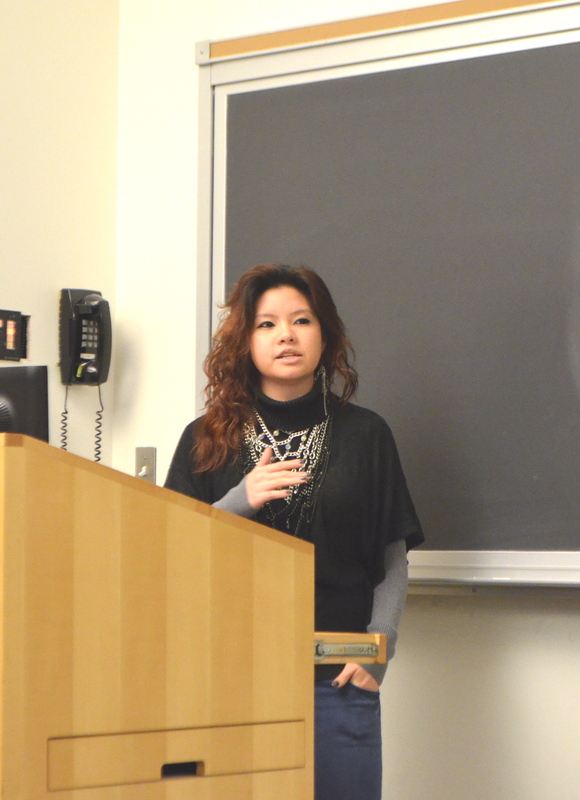 The 2013 Northeastern graduate, who spoke to the Fashion & Retail Society on Tuesday, Nov. 19, started two businesses by her third year of college, and she hasn’t slowed down since then. Chen, who graduated with a degree in marketing, accounting and communication studies and works full-time in advertising, is also the founder of the Fashion Hub blog. She started the blog during her third year of college knowing nothing about blogging, and built it up to where it is today—a blog with over 40,000 readers. Chen also gave Fashion & Retail Society members advice about breaking into the fashion industry. “Blogging is the easiest way to penetrate into the industry because I get to know everyone,” she said. And, Chen said, it’s possible to end up in the industry without majoring or interning in fashion. Of Chen’s three co-ops, none were in fashion—she worked in event planning, business development and advertising—so she said being entrepreneurial and passionate is key.